The Challenges of Experimental Existential Psychology: Terror Management or Meaning Management? New York: Guilford Press, 2004. 528 pp. Mainstream psychology sometimes loses touch with the zeitgeist. If psychology aspires to be a household word, it is important to be attuned to the psychological needs of the general public. At present, meaning and purpose are the buzzwords. For example, Rick Warren’s (2002) The Purpose-Driven Life: What on Earth Am I Here For? has sold more than 20 million copies. “The Alpha Course: Exploring the Meaning of Life” has attracted millions of people from all walks of life. Times of uncertainty and chaos tend to awaken in people their need for meaning and spirituality. Although existential concerns have considerable impact on the popular culture, mainstream psychology has not kept pace with the public’s demand for scientific answers to questions about meaning and significance in a world threatened by random terror. In view of the above, I had been eagerly awaiting the opportunity to review the Handbook of Experimental Existential Psychology (HEEP), expecting that it would extend the domain of scientific existential psychology beyond what I had achieved in editing the Handbook of the Human Quest for Meaning (Wong & Fry, 1998) and in organizing the biennial International Conference on Personal Meaning since 2000. My expectations were only partially met. In some ways, HEEP is a landmark publication that reveals the vitality and creativity of experimental social psychology in addressing existential issues. However, my overall impression is that HEEP is so dominated by terror management theory (TMT) that it lacks the balance and comprehensiveness generally expected of a handbook. HEEP is organized into six parts. Parts 1 and 2 focus almost exclusively on TMT. Part 3 contains a few chapters proposing alternative models, which are either related or similar to TMT. Part 4 extends TMT to human relationships and existential isolation. Part 5 addresses both the conscious and the unconscious aspects of human freedom and free will. In Part 6, on the basis of all the chapters supporting TMT, the editors conclude that “the confrontation with death thus forms a ubiquitous aspect of everyday life, even though for many people this confrontation may take place primarily on unconscious, subterranean levels” (p. 498). 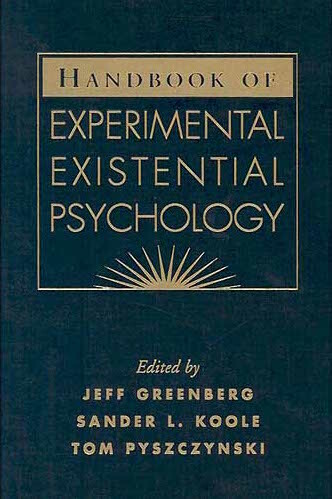 The editors also claim, “this volume documents how coping with existential concerns affects an extraordinarily wide range of important phenomena” (p. 499); however, most of the chapters are concerned with unconscious defense against implicit death anxiety rather than conscious coping with the existential crises in real life. HEEP is not an easy book to read. It is not easy to wade through the 30 rather dense chapters, packed with theoretical constructs and experimental studies. It is an even more difficult book to review objectively. On the one hand, the constant drumbeat of TMT seemed to have a hypnotic effect on me; I found myself losing my critical faculties to the point of nodding my head to all of its propositions and deductions. I had to struggle very hard to get out of the seductive spell of TMT in order to parse what was actually being said. On the other hand, HEEP often struck discordant notes and evoked clashing images; it raised so many questions that I had to put the book down and take a few steps back in order to regain a proper perspective. For me, the biggest challenge of writing this review was to strike a balance between conflicting voices and moving toward some sort of integration. Given the complexity of the book and the depth of issues involved, I critique HEEP at three levels: (a) To what extent does it deepen our understanding of major existential issues? (b) To what extent does it provide helpful answers to the multitudes of people desperately seeking meaning and purpose? (c) To what extent does it advance our scientific knowledge in existential psychology? In each section, I also raise questions that warrant serious discourse and research attention. Finally, I discuss whether the future of existential psychology depends on the development of a more general theory of meaning management that encompasses TMT. 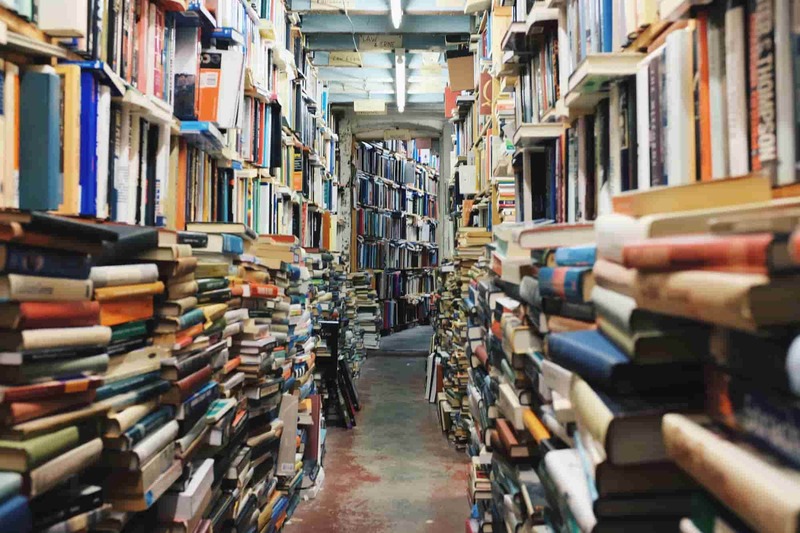 In evaluating any book on existential matters, it is appropriate for the reviewer to use “bracketing” as it is required in phenomenological research, so that the readers may be made aware of the reviewer’s personal experiences and potential biases. It will soon become apparent why bracketing my personal odyssey in positive existential psychology helps put my critique of HEEP in a proper context. My second research career focused on cognitive factors in attribution and coping. I found evidence for both spontaneous causal and existential attributions in situations of uncertainty and frustration (Wong, 1991; Wong & Weiner, 1981). In other words, people are both lay scientists and lay philosophers; their philosophical approach to problems beyond their control also provides the basis for existential coping. My current research area is the role of meaning and spirituality in addressing issues of aging, death, illness, and suffering. As a researcher, a member of the clergy, and a clinical psychologist, I have worked with people who are confronted with suffering and death—from cancer and AIDS to trauma, severe physical disabilities, and the frailty associated with aging. The most asked existential question is not how to avoid the terror of death but how to find meaning and purpose in spite of the twin terrors of living and dying. I have found Viktor Frankl’s transcendental logotherapy and tragic optimism (Frankl, 1984; Wong, 2009) most helpful for people in boundary situations. It is with this spirit of inclusive diversity and the perspective of dialectics in duality that I approach HEEP, especially with respect to theoretical and methodological issues. What Are the Major Issues of Existential Psychology? The introduction chapter of HEEP hits many of the right notes regarding major existential issues. Agreeing with Yalom (1980), the editors of HEEP consider death, freedom, existential isolation, and meaninglessness to be the basic existential concerns, which are ubiquitous and influential regardless of whether we are conscious of them. Therefore, a major issue is how human beings confront these existential givens. Thus, existential psychology is concerned with two fundamental issues: (a) How do human beings defend themselves against the terrors of suffering and death? and (b) How do they discover positive meanings and purposes for living in the context of personal mortality? This second issue, note Batson and Stocks, is usually expressed in questions such as these: “What is the meaning and purpose of my life? Is my life no more than ‘a tale told by an idiot, full of sound and fury, signifying nothing’? What will happen to me when I die? What should I do, given my inevitable death?” (p. 149). The core issue of existential–humanistic theory is this: how and why do people strive towards certain life goals within the context of setbacks, sufferings and death? Related to this overarching question are several related issues: What is the point of striving, when death is the inevitable end? How can people find meaning and happiness in the midst of suffering, uncertainty and death? What is the inherent, primary unifying motivation that makes us truly human? Unfortunately, most of the chapters in HEEP are concerned with unconscious defenses against the terror of death rather than with conscious striving for meaning and purpose. This bias is clearly apparent in the subject index, which provides no references to such key terms as quest for meaning, meaning of life, purpose of life, meaning of suffering, and death acceptance. A search on Scholar.google.com for these key terms revealed several major researchers writing about these topics, but few of these names appear in the author index of HEEP. What is conspicuous by its absence is Viktor Frankl’s name. Frankl is one of the most influential and most cited existential thinkers, and he is also the father of positive existential psychology, with his affirmation of meaning and hope (Wong, 2009). Therefore, HEEP falls short of its editors’ aspiration that the book “serves as a worthy representation of what are currently the best, most mature contemporary psychological theories and research programs addressing existential questions” (p. 5). Self-awareness of personal mortality and self-examination of one’s own life can create a sense of terror and despair. The realization that life is passing us by, while we have not really lived, can be very unnerving. Defensive responses and self-deception cannot protect us from existential angst forever. Sooner or later, we have to confront the reality of human existence. Research has shown that life transitions, uncertainty, frustration, trauma, and close encounters with death can all trigger an existential crisis and hasten our quest for meaning (Wong & Fry, 1998). It is interesting that people from all walks of life and across all ages are asking questions about the meaning of life. One 19-year-old posted this question in my Positive Living Forum (www.meaning.ca): “I am already 19, but I have nothing to show that I have really lived.” A 24-year-old wrote, “I am a university graduate. I feel depressed and confused about my life and my future. Is there any answer to the meaning of life?” Midlife crises and retirement also challenge us to reexamine our lives and priorities. Through all my years as a psychologist and counselor, questions regarding the meaning of suffering and life kept occurring. Recently, I spent a week teaching meaning-centered counseling to occupational therapists; the issue of meaning is very urgent for this profession. Many of these occupational therapists serve people with severe physical disabilities, cancer, or AIDS; some of their clients languish in a hospice or palliative care unit. They desperately want to know, “How can we restore a sense of hope and meaning in these patients? Given their severe physical limitations, what kind of meaningful activities can they have to occupy all their waking hours? How can we motivate them to undergo difficult or boring rehabilitation exercises, when they know that they don’t have much of a future? How do we respond to those who want to die because there is no longer quality of life?” I had difficulty gleaning answers to these questions from HEEP, with the exception of a few chapters (e.g., Chapters 8, 9, 27, and 29) that provide useful insights. The main focus of this review is on the scientific merits of HEEP. I briefly comment on the values and limitations of experimental existential psychology before addressing specific theoretical and methodological issues. Because most of the chapters are based on or inspired by TMT, it is only natural that most of my comments are directed to this particular approach. The editors of HEEP are correct in stating, “At present, experimental existential psychology is still largely grounded in social and personality psychology” (p. 504). They are also right in claiming that the precision and rigor of experimental laboratory research help sharpen existential concepts and advance our understanding of existential issues. Finally, it is laudable that they want to have continued dialogue between existential experimental psychology and existential thinking, because “existential thinking represents a broad meta- theoretical perspective that comprises questions that are of fundamental relevance to the entire human race. An infusion of existential thinking may thus keep experimental psychology into a wholly self-absorbed, bloodless enterprise” (p. 501). I could not have said it more eloquently and compellingly. However, I want to point out a couple of caveats. First of all, to be grounded in social and personality psychology does not mean to talk only to colleagues who publish in the Journal of Personality and Social Psychology or who use similar research paradigms. Because science is a cumulative enterprise, researchers in existential experimental psychology need to take into account other research findings on the existential issues from clinical studies or qualitative research. There are many reasons for this need. For example, scientific integrity demands that we recognize other people’s research, but citation amnesia ostracizes fellow researchers and hinders scientific progress. Another issue is that cross-validation across different research modalities increases the external validity of experimental findings. When I was teaching experimental psychology at the University of Texas in Austin, Elliot Aronson used to say that if you were very clever and creative in your manipulation and cover story, you could almost always support your hypothesis in social psychology experiments. This is why we need cross-validation. Second, existential thinking does not stop with Yalom. Most of the authors of HEEP recognize such giants as Heidegger, Kierkegaard, Sartre, and Becker but pay little or no attention to more contemporary existential thinking beyond Yalom’s (1980) seminal publication. Theories and research on positively oriented existential psychology have not even registered on the radar for the contributors of HEEP, except for Haidt and Algoe (Chapter 20), who propose, “Existential psychology and positive psychology may each help [the] other to avoid lying down in a Procrustean bed” (p. 333). There are several sources for more recent developments in existential thinking, such as Wong (2009), the Journal of Humanist Psychology, and the International Journal of Existential Psychology and Psychotherapy. The logic of TMT seems intuitive and cogent, and the supporting evidence is compelling. At present, TMT is one of the most innovative and influential theories in social psychology. I do not think that anyone can refute TMT on scientific grounds. However, I want to raise several questions for dialogue and future research. First, is there any empirical support from cultural anthropology or cultural psychology that “all cultural worldviews” are equally beneficial in their capacity to imbue people with an enduring sense of meaning and significance? Are there worldviews that are dehumanizing and destructive? Are there cultures that benefit only the privileged class but oppress the underclass, who feel disenfranchised and abandoned? Second, is TMT falsifiable? All three major variables (death anxiety, self-esteem, and culture) are supposed to be ubiquitous, universal, and pervasive in their influences at both the conscious and unconscious level; furthermore, all three variables are related. Therefore, manipulating any variable would necessarily result in some change in the other two variables, but it is difficult to rule out alternative explanations for these changes. If the predicted results are not obtained, one can always say that maybe the manipulation activates conscious rather than unconscious thoughts of death. Similarly, if the result shows an increase in death acceptance rather than death anxiety, one can also say that the conscious self-reported death acceptance actually reflects a high level of unconscious death anxiety. Third, self-esteem is a multifaceted construct (Harre, 1998), ranging from personal to collective to global. Chapter 12 also brings out several important dimensions of self-identity. TMT hypothesizes that people “everywhere need to feel that life has meaning and that they are valuable participants in the cultural drama to which they subscribe” (p. 17). TMT also assumes that one’s affirmation of life meaning depends on social validation by one’s referent cultural group. Does self-esteem manipulation or measurement need to be related to the central aspect of one’s sense of significance or self-worth? Does self-esteem entail comparison and competition? Does one have to feel one is doing better than others in the reference group in order to have an effective buffer against death anxiety? 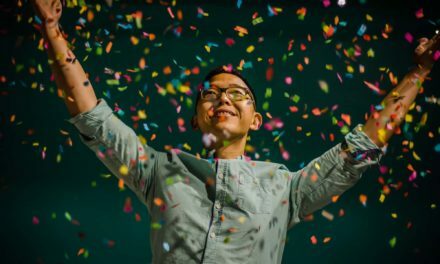 Is success necessary for the affirmation of meaning? Is belief in the intrinsic meaning and value of one’s life a more effective buffer against death anxiety than culturally based self-esteem? Finally, is there any limit to the explanatory domain of TMT? Do we need another thousand experiments to demonstrate that mortality salience manipulation has an effect on an ever- expanding list of behaviors? If we can prove that all behaviors are influenced by death anxiety, does it significantly advance our scientific knowledge of existential psychology? Is it possible that when a theory (TMT or reinforcement) is used to explain everything, it may actually lose its predictive power? Is it better to define the boundary conditions of TMT so that we can predict that beyond these conditions some other processes or theories may be operating? Several existential issues arising from HEEP seem to suggest that a more general meaning management theory (MMT) may be better able to account for both the defensive and creative responses in confronting the terrors of human existence. Meaning quest is manifested in the embodied person—in perceptions, thoughts, intentions, determinations, and actions, as several authors in Part 5 of HEEP have intimated. The meaning we attribute to reality has a profound impact on how we eventually respond to life’s challenges and the prospect of death. In other words, meaning mediates between what happens to us and how we respond. Because meaning is both socially constructed and personally construed, our actions and reactions are constrained by our idiosyncratic personal history and cultural values. In its simplest terms, MMT posits that people are meaning-seeking and meaning- making creatures, capable of meaning reconstructions and storytelling. Meaning management actually means managing the uniquely human aspects of inner life. Meaning offers the best protection against the terrors of life and death through transforming the negatives into positives. At the same time, meaning also provides an individual the motivation necessary to overcome difficulties and lead a vital, fulfilling, and productive life (Wong, 2008). TMT is based on the assumption that death avoidance is the dominant, primary motivation. However, there is mounting clinical and empirical evidence that death acceptance may be prominent in some people under certain conditions (Wong, 2008). Wong, Reker, and Gesser (1994) have identified three types of death acceptance: (a) Approach acceptance means welcoming death because of religious beliefs that afterlife is far better than earthly life; (b) neutral acceptance means a neutral attitude toward death by recognizing it simply as part of the natural life–death cycle; and (c) escape acceptance means that life is so painful and miserable that death is a welcoming relief. MMT predicts that mortality salience manipulation should evoke different reactions depending on one’s death attitudes. According to TMT, avoidance of death anxiety is the primary motive, and the quest for meaning is secondary, because it is prompted by the terror of death. According to MMT, the quest for meaning is also a primary motive, because we are meaning-seeking and meaning- making creatures living in a world of meanings. Meaning is important for both survival and resilience. We need to understand and comprehend what is going on in order to adapt and survive, but we also need reasons for living when the situations become very difficult. Meaning is also necessary for happiness. Even when everything is going well, there are still sober moments when individuals may ponder, Is this all there is to life? Am I living a life that is worth living according to the criteria I set for my self? Thus, the pressing question for most people, both consciously and unconsciously, is this: What is worth living and dying for? How should I live—how should I spend the rest of my life so that at the end of the day I can be satisfied that I have lived a full and fulfilling life? The consensus is that we experience authentic happiness only when we can affirm that we are leading a life that is worth living (Kingwell, 1998). Frankl (1984) emphasized that the quest for meaning is the universal, primary motive, which not only makes humans different from other animals but also enables them to survive unimaginable horrors with dignity. Many studies support the imperative of the quest for meaning (Batthyany & Guttman, 2005; Wong & Fry, 1998). Janoff-Bulman and Yopyk (Chapter 8) point out two kinds of meaning: When one’s assumptive world is shattered, the first existential terror is meaninglessness or incomprehensibility. Therefore, trauma survivors struggle to make sense of what has happened to them. Later, existential terror stems from the lack of certainty, security, and significance in one’s broken life. These individuals need to reconstruct fundamental assumptions to accommodate the possibility of future trauma. MMT incorporate both types of meaning. Self-actualization becomes dominant when one comes to the point where self-actualization is considered more important than physical survival. Thus, life without love is not worth living; life without honor is not worth living; and one can fill in the blanks for many similar statements. That is why we have religious martyrs, suicide bombers, and individuals who risk their own lives for others. When people risk their lives to undergo an extreme makeover, looking beautiful is more important than avoiding death; in this case, beauty becomes their ultimate concern, their god. When self-actualization focuses on something larger than oneself, one reaches the state of self-transcendence. This “something larger” may be religion (Chapter 9), ideology (Chapter 17), community (Chapter 19), or a moral cause (Chapter 20). A truly transcendental view of life lifts the person above self-centered concerns about self-preservation or self-esteem, because self is spent or lost in something larger. For example, the psalmist prays, “The Lord will fulfill his purpose for me; your love, O Lord, endures forever—do not abandon the works of your hands” (Psalm 138:8). A sense of purpose and calling imbues the psalmist’s life with meaning, but here the responsibility for success no longer rests entirely with the individual. There is a strong sense of partnership between God and the psalmist. To live or die is to fulfill God’s purpose in the psalmist’s life. If we argue that those who risk death for something larger than themselves are actually protecting their culture in order to reduce the terror of death, then we are making circular arguments and this twisted logic no longer makes much sense. If both avoiding death to stay alive and embracing death to live authentically can be interpreted as unconscious defenses against the terror of death, then we can no longer differentiate between mundane existence and authentic living. In terms of overall orientation, existential psychology can be either negative or positive. The negative orientation focuses on anxiety, terror, and unconscious defensive reaction. The positive orientation focuses on growth and authenticity and meaning; it advocates proactive and transformative confrontation with the human condition in its totality. Most people are familiar with the gloom and doom of negative existential psychology but not the optimism and happiness of positive existential psychology. When people are exposed to mortality salience, both TMT and MMT predict an increase in pro-culture and pro-esteem activities, but for very different reasons. The former is for minimizing terror, but the latter is for maximizing meaning fulfillment and joy. The main difference is between a fear-based defensive posture and a courage-based authentic posture. This difference can have real consequences in how people live their lives and make critical choices. Going through life is to be confronted with all sorts of terrors and threats. How we respond to these threats both shapes and reveals our personalities. 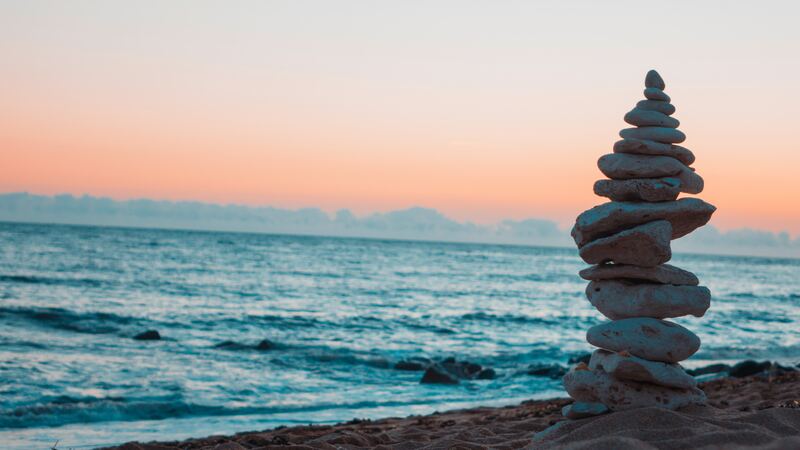 We need defensive responses to protect our ego against anxieties and uncertainties, but we also need the authentic, creative responses to pursue what life beckons. Life cannot be lived in the defensive mode. Paradoxically, we need to choose to embrace the unknown, the uncertainty, and the threats in order to feel really alive. In terms of motivations, the defensive mode is mostly related to anxiety and despair, whereas the authentic mode is mostly related to positive emotions, such as optimism and life satisfaction. Almost all people agree that existential psychology must deal with the totality of human conditions—both despairs and hopes, anxieties and contentment. Therefore, the challenge is how to transform one’s existing worldviews and meaning systems to something that not only withstands the storms of life and the terror of death but also provides a most positive and hopeful orientation toward life and death. The editors of HEEP deserve to be congratulated for putting together an impressive collection of chapters that bring existential issues to the center stage of mainstream psychology, a vision that I have cherished for many years (Wong & Fry, 1998). However, the book was written primarily by experimental social psychologists for experimental social psychologists. Even with my extensive background in experimental psychology, social psychology, and existential psychology, I often had difficulty following their hair-splitting precision and complicated experimental logic. I believe it will be difficult for HEEP to reach the larger audience of existential psychologists and therapists. I have also pointed out the lack of balance and breadth that HEEP suffers by focusing too much on TMT. Van Den Box (Chapter 11) reiterates that the purpose of his chapter “is certainly not to falsify or attack terror management theory” (p. 168) and that “this should not be necessarily taken as a refutation of terror management theory, but rather, as an attempt to incorporate at least some elements of it into a broader framework” (p. 178). His disclaimer equally applies to the present review. Given the emerging importance of positive psychology, I echo Haidt and Algoe’s (Chapter 20) sentiment that more attention needs to be paid to positive existential psychology, which has been my lifelong passion. The future of experimental existential psychology may depend on integrating both the negative and positive aspects of human existence (Wong, in press- a). Cross-cultural psychology also needs to play a bigger role in the future of existential experimental psychology in view of the current trend of internationalizing psychology. Because we are cultural beings, it is almost impossible to understand existential concerns without taking into account differences in cultural worldviews. Therefore, it is refreshing that Young and Morris (Chapter 14) approach existential meanings from cross-cultural perspectives. Dechesne and Kruglanski’s (Chapter 16) lay epistemic theory has much to offer, because their “integrative model assumes that the induction of mortality salience elicits a configuration of concerns, of which worries about one’s personal insignificance and uncertainty constitute key components” (p. 261). I think that this approach can be more productive if it encompasses both the challenges for authentic living and defenses against existential concerns. Case and Williams (Chapter 21) have unwittingly offered an important insight to a problem that has plagued psychology for decades—the hegemony of one school of thought, one dominant theory, at the expense of alternative points of view. Ostracism occurs when an individual or group excludes or ignores other individuals or groups, perhaps motivated by an unconscious defense of one’s own theory or paradigm (by the way, the idea of cultural defense is the most brilliant insight of TMT). We may argue that the targets of ostracism “are so unworthy of attention; it is as though they do not exist at all” (p. 339). Ostracism threatens our basic needs for belonging, self-esteem, and meaningful existence. MMT assumes that everyone needs acceptance and fairness to experience a meaningful existence. Different from TMT, MMT proposes that the best way to protect one’s own sense of significance is to treat everyone fairly and embrace even those different from us. This will contribute to the development of world peace and a higher order of evolution, which is characterized by cooperation between diverse groups with different worldviews. I feel encouraged that Vohs and Baumeister (Chapter 25) conclude their chapter with this statement: “In total, this research program has gone beyond the mechanistic notion of self- regulation as an open-ended feedback loop to larger, abstract, and more complex notions of control, humanity, existence, and meanings of life” (p. 408). This bodes well for the future of existential experimental psychology. My final comment is that in our search for precision and rigor, we may lose the large picture. It reminds me of one of Lawrence Leshan’s (2004) concerns about scientific research of paranormal phenomena. He worried that researchers might turn away from interest in the big, meaningful paranormal phenomena, which initially launched this exciting new area of inquiry, to concentrate on quantifying small, trivial slices of the phenomena in laboratories. The only way we can avoid this pitfall is to have continued and open dialogue and cross-fertilization among all researchers interested in existential psychology, regardless of their theoretical stripes or methodological preferences. Batthyany, A., & Guttman, D. (2005). Empirical research in logotherapy and meaning-oriented psychotherapy: An annotated bibliography. Phoenix, AZ: Zeig, Tucker & Theisen. Frankl, V. E. (1984). Man’s search for meaning (Rev. ed.). New York, NY: Washington Square Press. Harre, R. (1998). The singular self. Thousand Oaks, CA: Sage. Kingwell, M. (1998). Better living: In pursuit of happiness from Plato to Prozac. Toronto, CA: Penguin Books. Leshan, L. (2004). The world of the paranormal: The next frontier. New York, NY: Helios Press. Tolstoy, L. N. (1904). My confessions. Boston, MA: Dana Estes. Warren, R. (2002). The purpose-driven life: What on earth am I here for? Grand Rapids, MI: Zondervan. Wong, P. T. P., Reker, G. T., & Gesser, G. (1994). Death Attitude Profile—Revised: A multidimensional measure of attitudes toward death. In R. A. Neimeyer (Ed. ), Death anxiety handbook: Research, instrumentation, and application (pp. 121-148). Washington, DC: Taylor & Francis. Yalom, I. (1980). Existential psychotherapy. New York, NY: Basic Books.